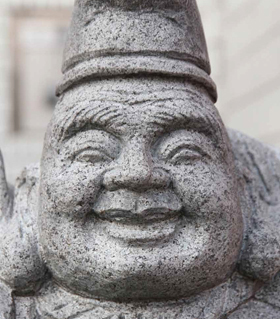 Saga City has the largest number of Ebisu statues in Japan. The worship of Ebisu has become widespread in Saga and stone statues of Ebisu can be seen everywhere in the city. 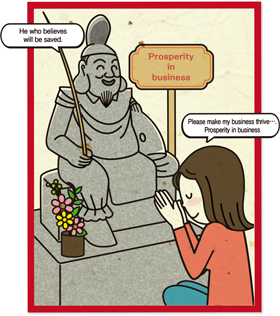 There are several stories depicting the reasons; it had been widely believed as a god of ocean because marine business using water channels once thrived in Saga or as a god of wealth because there were many merchants who prayed for their business success. The number of statues reaches over 800 only in Saga City! 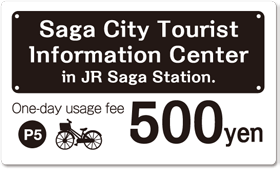 In 2011, Saga was authorized as the city with the largest number of Ebisu statues in Japan by a Nippon-1 organization. Make a wish by touching his jewel, Hoju! 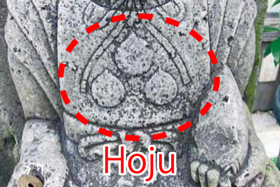 Some Ebisu have chestnut-like Hoju engraved on their chest or tall hat. Hoju is a wish-fulfilling jewel called "Chintamani" in Buddhist terminology. If you meet Ebisu with Hoju and make a wish by touching Hoju, your wish may come true. Let's check their blessings and touching episodes. 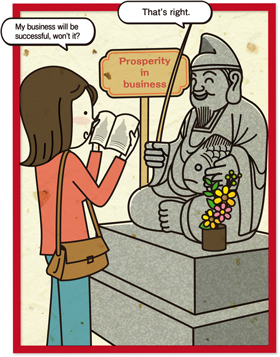 By reading the EBISU GUIDE BOOK and information boards near the Ebisu statues, let's study their features and the blessings that they may offer. Lower your eyes a little and join your palms. Small-sized Ebisu statues are mostly placed near the ground. So when praying, lower your eyes to avoid looking down on him and join your palms. As many worshippers pass their hand over not only his jewels but also his tall hat and sea bream, some statues have a smooth surface. 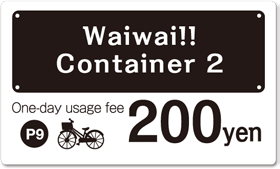 If you want to save time on transportation to visit as many Ebisu statues as possible, rent a bike. 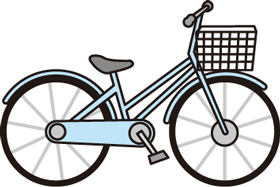 As Saga's streets have few slopes, travelling by bike is easy.